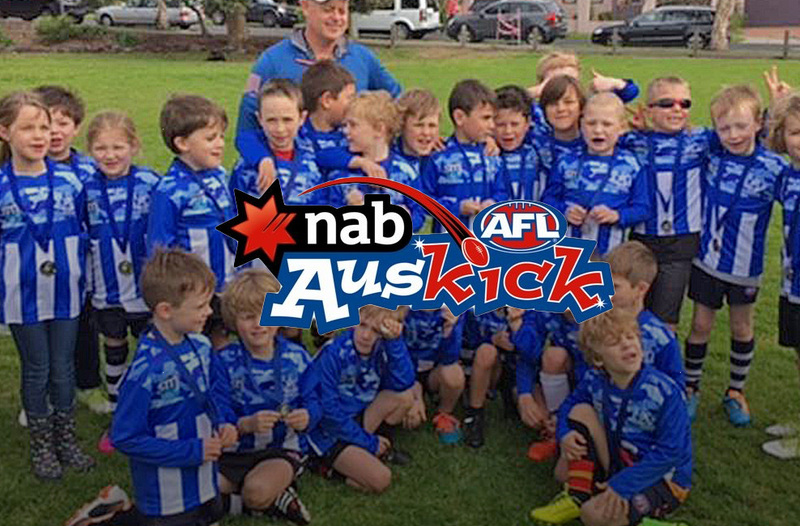 As Auskick Centre of the Year Finalist, Brighton Beach JFC welcome all to come be a part of a super club for 2019! Registrations now open. Both boys and girls are welcome to join as long as participants turn at least 5 years old in 2019. Group categories are: Kindergarten kids; Grade Prep and Grade Ones. Stay Local, Play Local and most importantly Learn Local. Brighton Beach Auskick will run on Sundays at Brighton Beach Oval on South Road (Brighton Beach End) between 8:45 am and 10:00am. Please see the full Brighton Beach JFC calendar for important dates. We would love to see as many as possible Bayside children and families register for the Auskick program. Our program is not just about introducing children to Australian Football, it’s about activating and developing within each child, the desire for a healthy lifestyle and a positive association with our great game. We encourage the active participation of parents in the sessions, guided and assisted by a friendly team of AFL accredited junior coaches. Please note that all registrations MUST be paid online at www.aflauskick.com.au. Auskick packs are sent directly from the AFL to your home address. Registration can be made directly on the Auskick site. Search the Brighton Postcode 3186 and choose Brighton (VIC) Auskick Centre.